Save 25% on all books! Back to school, it cometh! 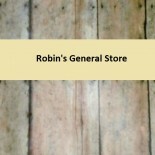 http://stores.ebay.com/Robins-General-Store/Books-/_i.html?_fsub=365537919&_sid=236999939&_trksid=p4634.c0.m322 Save 25% on all books from today through Monday night, August 11, 2014. Let’s read! Beautiful handwriting, but will it be a thing of the past? Thank you, Mrs. Geiger, for teaching me. Children’s Book Lot Pollyanna Robert Louis Stevenson Elephant Man Homeschool Starting at $0.99!